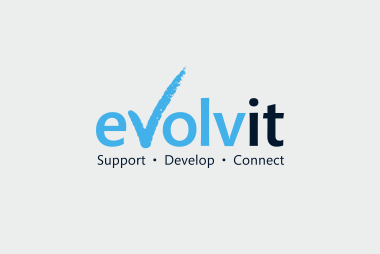 YOU ARE HERE: Home » Support Guides » Evolvit Support » Energy Saving PC Tips » How can we save power, energy, equipment life, money and cut our carbon footprint when using IT equipment? There are numerous ways to save energy when using computer equipment both at home and in the office. As a green IT company we have comprised a number of tips which can help to cut down the amount of energy your computer and its peripherals use. This can help to save both the environment and the life of the equipment but also in the same process help to cut your carbon footprint and save energy resulting in cost saving. 1). Ensure equipment is turned off when not in use. 2). Ensure equipment is not left on power standby when not in use – E.G turn off monitors at their power switch. Screens and TV’s left on standby still use energy. 3). Do not leave laptops on charge when the battery is full, as the laptop can run successfully on its own power resource rather than eating up more energy by being on charge at the wall when not required. 4). Lower the brightness level on your screen. The brighter the screen, the more power is used. 6). Turn off screen savers. New monitors are no longer in danger of image burn and therefore the use of screen savers is no longer such a high requirement. Screen savers can actually use up more monitor power. 7). Use built in power options on the machine to enable power saving features such as machine standby, monitor standby and hard disk standby. This means when your machine is not being used for a period of time, energy can be saved via standby mode. 8). Turn off equipment at the wall. When devices are off for a longer period of time such as holiday periods, consider turning the plugs off at the wall and unplugging completely. 9). Consider purchasing energy rated products such as screens – look for the energy star certification on electronic devices. 10). Consider the purchase of Power Down Plugs from your energy supplier. These can save energy and therefore money by automatically switching off any equipment linked to your computer, such as a printer, scanner and speakers when the computer is turned off. This prevents equipment staying on standby mode and consuming unnecessary energy. The power down plug can also help to protect your computer equipment against hazards of voltage strikes and power surges. Please consult your provider when using these devices as some are Desktop PC specific, Laptop Specific or Plug Specific. 11). Close unused applications and turn off your monitor when you are not using it. 12). If you are working via a VPN, consider disconnecting when you are not using it or away from your machine. Keeping your VPN (Virtual Private Network) connected may limit your system’s ability to enter standby mode. 13). Toolbar notifications – consider keeping these to a minimum to limit the usage of the CPU. Look through your current icons and see which tools or utilities are not necessary to be running all the time and select to close these. 14). Limit power-intensive activities on your machine. This is particularly valuable on laptops –watching DVD’s or playing online games as an example requires more battery power and therefore fails to conserve battery life. 15). Cut down on paper print outs. Review documents, drafts and emails on the screen instead of printing out. This can save ink, paper, the life of the printer and energy by using these resources less. 16). Choose darker background for your screen display. Avoid using bright colour displays which consume more power. 17). Network peripherals that can be shared such as printers. This means you can share a printer for example reducing the amount of printers needing to be powered and maintained – sharing one printer instead of having 5 turned on will cut the power consumption. 18). Reduce your paper costs – use recycled paper, use double-sided printing, email documents as an alternative to paper memos and fax documents. 19). Recycle old equipment – we all upgrade and replace equipment to stay up to date with the latest technology but this often leads to old equipment being left around or sent to a landfill. Consider sending the equipment to dedicated computer recycler and refurbishers where it can be re-used. Another option is to pass equipment to charities that always welcome donations and can often not afford to purchase IT equipment. Ensure that all data is removed from the system prior to doing so. 20). A major boost to cutting your carbon footprint is to reduce use of travel. In this age we can now use IT equipment almost anywhere due to portability and the use of remote software. Perhaps consider working from home rather than travelling back and forth to an office. Virtual Private Networks can be setup to allow a secure and safe connection between your home and office via the internet.